A month or so ago, I wrote about my experiences eating at nine of Latin America’s 50 best restaurants, most of them in Argentina, without (I hope) taking the survey too seriously. 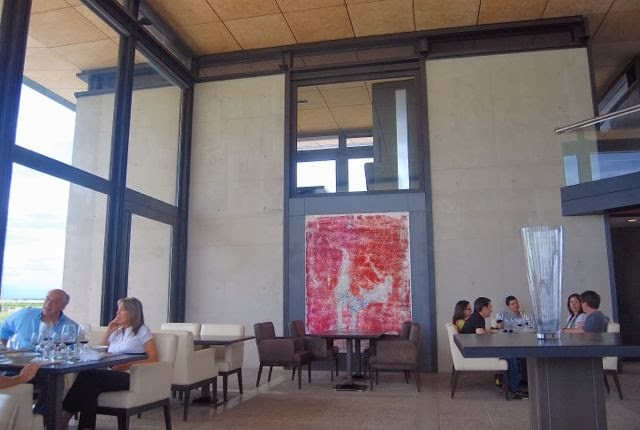 Then, recently, I stumbled upon another survey of the world’s 20 best winery restaurants and found that I had dined at two of the top ten, both of them in Argentina. 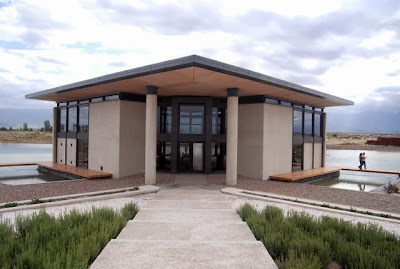 One of those is Francis Mallman’s 1884, which also appears in the Latin American top 50 list, while the other is the oddly named Urban, at the O. Fournier winery just outside the town of San Carlos, in the Uco valley of southern Mendoza province. Oddly named, I say, because Fournier’s view of the Andes beyond the restaurant’s windows is positively bucolic – there’s no city view anywhere. Urban may seem a misnomer in such a rural area as San Carlos, but its contemporary design and the menu, which shifts between strictly Argentine and Mediterranean, suggest a sophisticated urbanism. As with 1884, I’ve only been there once, but I look forward to returning the next time I update Moon Argentina. For those who can’t make the trek south to San Carlos, the Mendoza city suburb of Chacras de Coria offers Nadia O.F., an outgrowth of Urban. Chef Nadia Harón devises a weekly tasting menu paired with Fournier’s own wines, though diners are welcome to bring their own for a modest corkage fee. As the southern summer approaches, and I prepare to update Moon Patagonia, I start paying more attention to the exchange rates in Argentina and Chile (I probably won’t be spending any time in Uruguay until late next year at the earliest. I’ll also be visiting the Falkland Islands but, over the course of a week that I’ll spend there, the exchange for the local currency should be stable (at parity with the pound sterling, it’s now around US$1.60). The cost of living itself is relatively high in the Islands, however. Argentina is, of course, less predictable, given the breach between the official dollar (about 5.9 pesos as of today) and the informal “blue dollar” that roses briefly above 10 pesos as last Sunday’s congressional elections approached and then subsided slightly to about 9.9 by Friday. 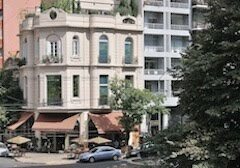 At the parallel market rate, Argentina’s very moderately priced, but navigating that market anywhere outside of Buenos Aires can be tricky. In fact, it can be tricky for anybody who doesn’t know his or her way around. Chile, where dollars have abounded for years and the citizenry isn’t much interested in foreign currency except when they plan to travel, is a different case. That said, over the past couple weeks, the dollar has been gaining ground, having risen from 492 pesos in mid-October to 508 pesos today, a difference of three percent in just a fortnight. I wouldn’t necessarily extrapolate from that trend but, at the moment, it looks as if vacations in Chile might be a little bit cheaper this year.